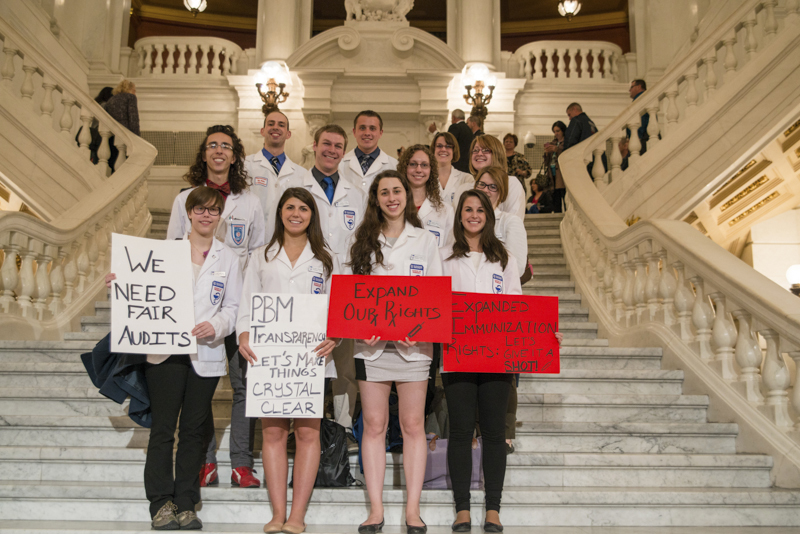 Approximately 54 student pharmacists from the Duquesne University Mylan School of Pharmacy converged on the Capitol for the Pennsylvania Pharmacists Association (PPA) Pharmacy Legislative Day on Wednesday, April 2, 2014. 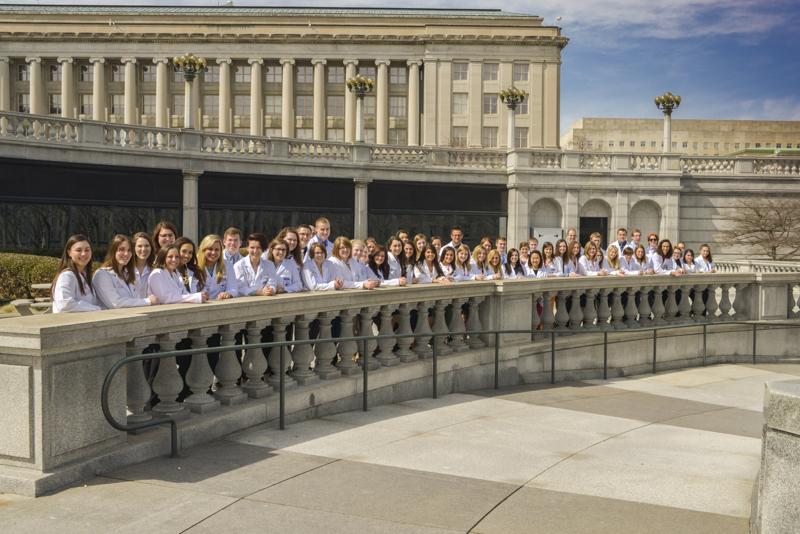 The students and their faculty advisors helped to "paint" the Capitol white, wearing their identifying lab coats and pushing the importance of "Pharmacists: We Make A Difference!" 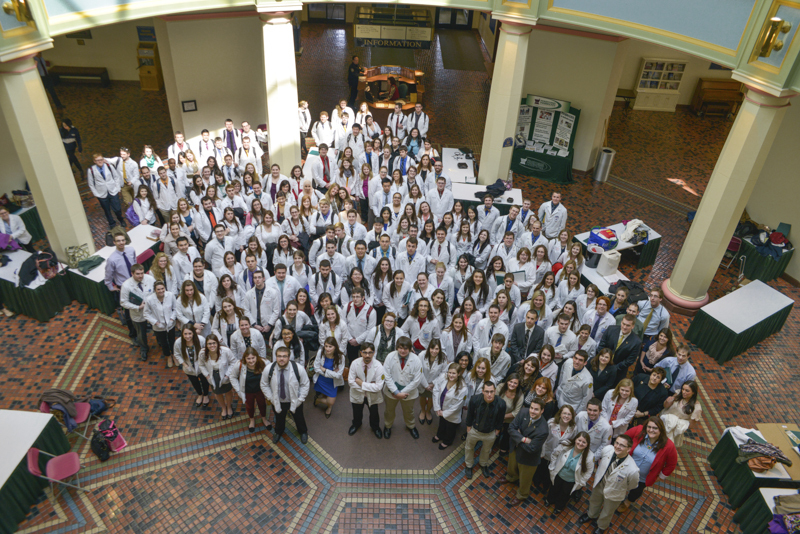 Over 250 pharmacy students from the seven Schools of Pharmacy across the Commonwealth and more than 80 pharmacists, walked the halls of the Capitol, participated in the Pharmacy Rally and made legislative visits. Pharmacy Legislative Day attendees met with a significant number of legislators or their staff and delivered packets of information to any legislative offices for which visits were not able to be scheduled. The visits covered important issues of the profession focusing on PBM regulation and transparency, fair pharmacy audits and expanded immunization opportunities. This valuable opportunity for PPA members to have their voices heard and to stress the importance of issues facing pharmacy today was an important and crucial step in educating legislators about pharmacists and their concerns. 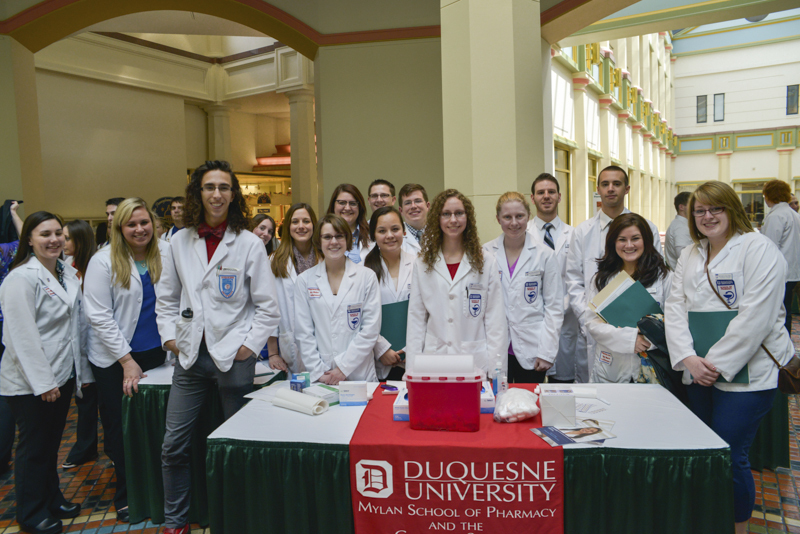 Each of the seven Pennsylvania Schools of Pharmacy also had displays showcasing information on the value pharmacists provide and performed various health related screenings. Information on medication adherence, smoking cessation, immunization awareness, hypertension assessment, heart health, blood pressure and cardiovascular risk assessment and blood glucose was displayed in the East Wing Rotunda throughout Pharmacy Legislative Day. Duquesne University's table focused on Cardiovascular Risk Assessment and DermaView Displays and Blood Glucose Screenings. 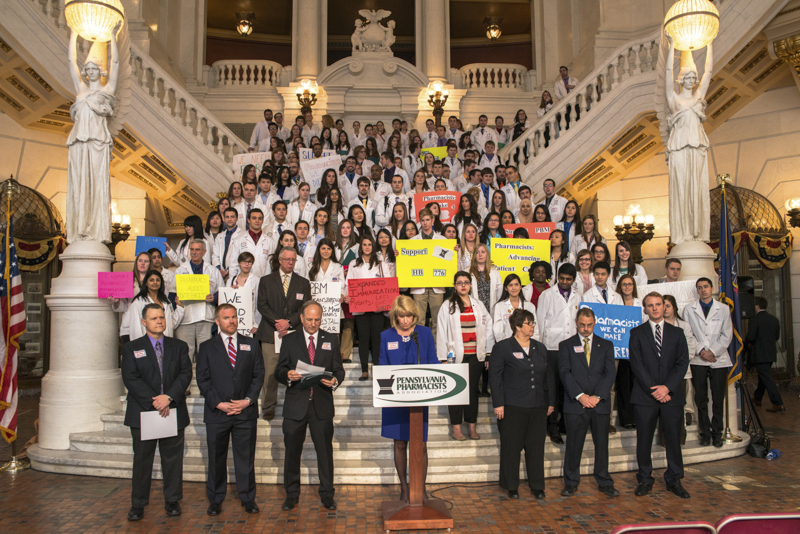 The Pennsylvania Pharmacists Association also arranged for group tours of the Capitol and some special legislative meetings for students.